Order ‘Read This First’ now. 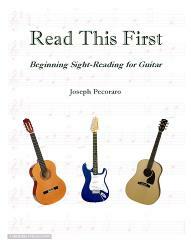 The highly acclaimed note-reading method for all guitarists by author Joseph Pecoraro. 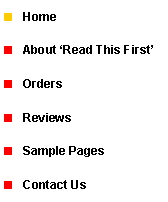 This collection of over 100 melodies gradually introduces guitarists of any style into the wonderful world of music reading. Uncluttered layout, carefully graded pieces, and clear, simple instructions make this the book to Read First!